Bake 12 chocolate cup cakes as per packet instructions. Cut a small round from the top of each cup cake and discard. Prepare the chocolate ganache icing as per step 1 of the packet instructions. Allow to cool. 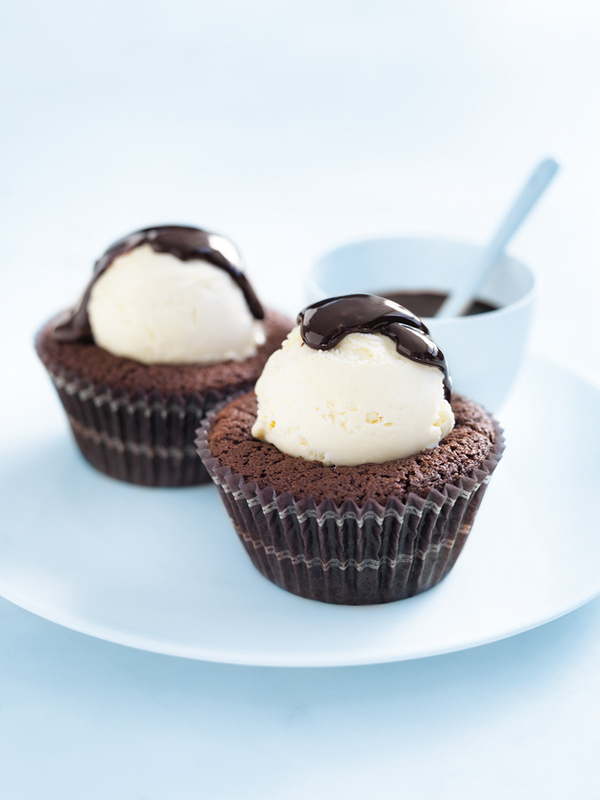 Place a scoop of vanilla ice-cream into the hollow of each cupcake and spoon over the cooled chocolate ganache icing to serve. Makes 12.